If you’re looking into hair removal methods, it’s important to consider all of your options. Laser and photoepilation seriously outstrips the conventional methods. SHR is Alma Laser’s proprietary hair removal* method used in clinics around the world with global brand recognition. SHR works by gradually heating the dermis to a temperature that effectively damages the hair follicles and prevents re-growth, while avoiding injury to the surrounding tissue. A high repetition rate of short pulses are delivered deep into the dermis, achieving high average power and therapeutically effective heat build-up, with comfortable treatments. The sweeping In-Motion™ technique of moving the applicator repeatedly over the treatment area ensures full coverage while ICE™ tech cools the skin surface-preventing superficial burns and allowing for comfortable, yet highly effective hair removal. With the Alexandrite Laser, there is a hair clearance rate of roughly 70% after the recommended number of treatments–usually between 6 and 8 for thinner hair, or 8 to 12 for thicker, darker hair. It is also considered the fastest of the lasers, removing large swaths of hair in fewer sessions. For patients interested in treating larger body areas (such as the stomach, chest, back, shoulders, or legs), it’s often recommended to use the Alexandrite Laser. Alexandrite Lasers are one of the only lasers recommended for treating hypertrichosis, also known as “Ambras syndrome”. ЕLOS-photoepilation is a well-known patented technology of last generation. It combines all of the advantages of the existing technologies (photo-, laser-, electro-) and eliminates their disadvantages, it combines electrical and optical energy. During the procedure the hair follicle is destroyed by the parallel action of the energy of the light pulse and a high current. ЕLOS-photoepilation provides double protection of the epidermis. Active cooling nozzles help avoiding the overheating of the epidermis and the side effects are minimized. The development of the ELOS technology in the field of the epilation is a new technological breakthrough in terms of reliability and permanence of the effect. ELOS-photoepilation permanently removes the unwanted hair, including pale, vine and hormonal hair. During the last few years the laser and photoepilation received bad reviews. The practitioners point out too many side effects and the result of the removal of the patients’ hair can be doubted. Many of the patients not only notice a resumption of growth of hair after 12-14 procedures of photoepilation, but increase of the hair growth on the treated area. This result is completely predictable. The photo and laser technology affect the hair by heat, which stimulates the growth of the “sleeping” hair follicles, these follicles have no melanin and cannot be a target for the penetrating photo and laser frequencies. Simply put, they fail to remove hair vines because of the limit of the technological process and at the same time stimulate their growth. When destructing the hair follicle, new hair growth can be noticed over a relatively short time. Photo and laser technologies can affect only dark hair, especially when the patient had fair skin and no tan. The photoepilation during summer is absolutely unadvisable. What are the advantages of Laser Hair removal over the other methods? and the most important – it does not stimulate the growth of the “sleeping” hair follicles. The temperature impact on the hair follicle is strong enough to disrupt its structure and to end the cycle of normal hair growth. 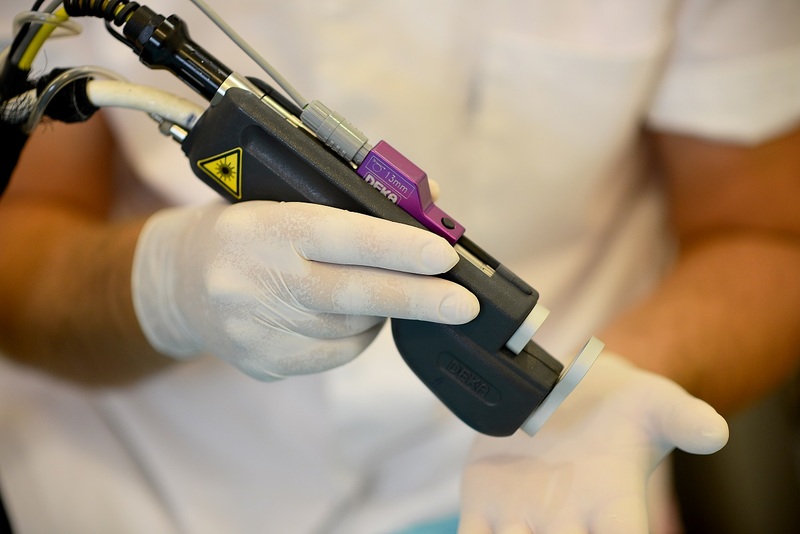 The removal of hair, based on the traditional laser method or photoepilation depends only on the fact how much light will be absorbed by the treated area of the body. In cases where the absorption of photo energy is not enough, it is impossible to achieve the effect of photothermolysis (photo temperature removal). This fact explains why the areas of the body with decreased concentration of the pigment melanin are hard to treat by the traditional methods of hair removal. Satisfactory results can be achieved in 4-8 procedures.